California hospitals are on edge over a bill dropped late Monday that would mandate regulated rate-setting for providers. The measure would use Medicare rates as the benchmark to calculate commercial insurer payments, and would cost state hospitals $18 billion in the first year alone, according to preliminary projections. The California effort is being pushed by patient advocates and labor unions who say the rising cost of healthcare is cutting into wage growth. It is the first signal from the country's most populous state that legislators are wading into the minefield of addressing healthcare prices as consumers grow increasingly unhappy. "It really threatens to unravel the healthcare system in the state of California," Coyle told Modern Healthcare. The $18 billion estimate in immediate losses was calculated by the California Hospital Association and doesn't include the potential losses of independent physicians or dentists. The CHA noted 60% of hospitals in the state would likely lose money, and about 175,000 healthcare workers could lose their jobs. 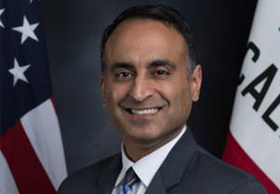 Health industry groups are still analyzing the particulars of Democratic Rep. Ash Kalra's proposal. The rate-setting commission mandated by the legislation would establish prices for physicians and doctors as a percentage of Medicare, with Medicare as the floor, according to the bill summary. Use of the benchmark, according to the bill summary, "creates a simple yet competitive, transparent and public system of pricing that will lower the costs and save money by reducing the administrative cost." "Medicare pays less than cost; Medicaid pays far less than cost," Coyle told Modern Healthcare. "All this bill does is to take privately insured rates, currently making up the shortfall for Medicare and Medicaid, and capping them." "We believe that there are more productive actions that the California Legislature can take to immediately stabilize our healthcare market that are less costly, less controversial and less complicated than rate regulation," said Charles Bacchi, the association's president and CEO. "California should spend its energy on enacting a state-based requirement to obtain coverage to stabilize our individual health insurance marketplace instead of looking at price controls." But Anthony Wright of Health Access California, a patient advocacy group that is co-sponsoring the bill along with labor groups, argued the proposal does address the root cause of costs because it introduces transparency. Wright said he doesn't see the rate-setting as a one-size-fits-all attempted solution because a council would be set up to look at regional cost disparities to determine adequate reimbursements. "If people want to go beyond that, they need to justify the rate," Wright said. "It's not that they can't, but they have to show why they need more than Medicare—which people take as payment in full for most of their business. In a world where we have very considerable consolidation, and little ability to shop around, we need to have some oversight so the health industry can't simply charge what the market will bear, if not beyond that." Wright cited a University of California at Berkeley study used by California Attorney General Xavier Becerra in the state's lawsuit against Sutter Health, Northern California's largest health system, for anti-competitive behavior. "With more integrated models of care, maybe consolidation is inevitable, but we better have a better mechanism to put a check on inflated healthcare prices," Wright said. Coyle also pushed back against comparisons of this bill to Maryland's decadeslong all-payer system in which a commission sets Medicare, Medicaid and commercial insurance rates for the same services offered by hospitals. Coyle was president of the Maryland Hospital Association for nine years before moving to California. The California proposal "doesn't even seem like a rate-setting proposal. It's a payment-cutting system," Coyle said. Wright acknowledged the industry's forceful reaction to the bill, but argued that something has to be done to stem the year-over-year healthcare cost increases that he says the middle class simply can't continue to bear. "We acknowledge it is a bold step, but that's what we need if we are going to deal with healthcare prices," Wright said. The State Assembly's Health Committee is expected to hold a hearing on the bill by the end of April. Once cleared, it could advance for further consideration. "If individuals are interested in a conversation about transformation and change and value, we are willing to have it," Coyle said. "But it is not something you ram through in short amount of time without having convened important conversations." A healthcare labor group has gathered enough signatures to place an initiative on state's ballot to cut commercial payer rates to dialysis clinics to 115% of the cost of services. Democratic Gov. Jerry Brown has proposed banning Medicaid providers from using the 340B drug discount program, another effort strongly opposed by hospitals. An edited version of this story can also be found in Modern Healthcare's April 16 print edition.